Ruminating focuses on the underrepresented aspects of depression, including the daily experience, and how relationships between myself and those around me have developed and evolved. The photographs reflect ambiance, transient interior spaces, disconnected portraits and, landscapes interrupted by atmospheric light. These photographs are suggesting moments that reflect emotional realities, where each are assembled into nonlinear double exposures. 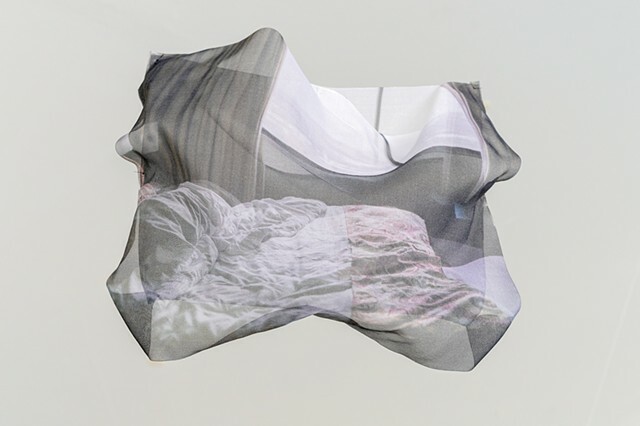 This photographic series is installed as floating sculptural prints made of silk organza. 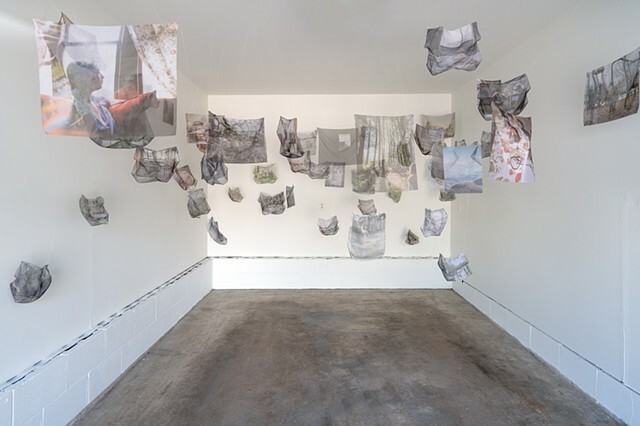 The photographs become forms; delicate, floating translucent fabric surfaces, which allow for the viewers to feel the confusion and sense of loss that depression and distance cause. 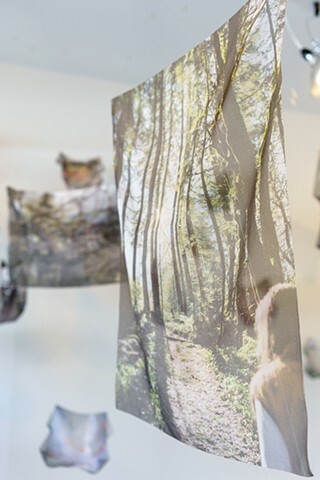 Printing directly onto fabric creates an evolving image, a type of double exposure with endless possibilities. 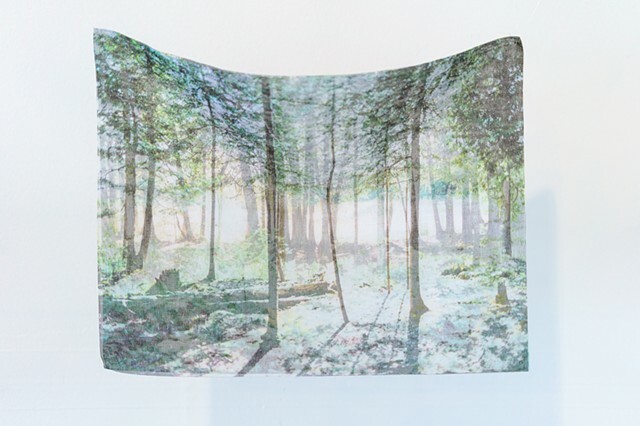 It represents different perspectives and this technique also allows the images to interact with one another in a shared space. 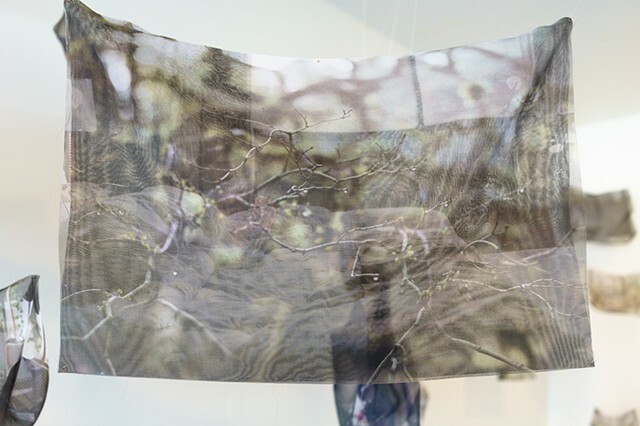 By walking into a room filled with floating silk images I hope to express the experience of having your mind filled with repetitive jumbled thoughts and feelings. 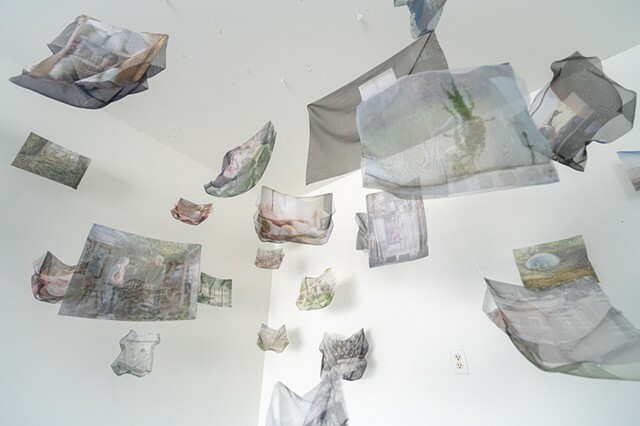 The overwhelming number of floating silk photographs create a mystifying experience as viewers move through the work, becoming more engulfed and lost as they move further into the space. The intent is to create an atmosphere that surrounds the viewer with overlapping imagery, forcing them to experience narrative in a completely different way. 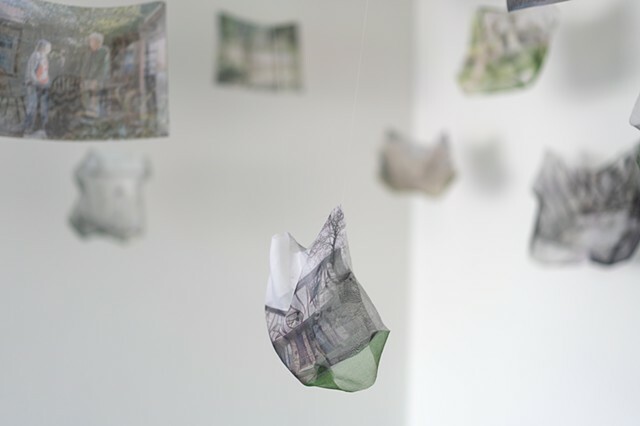 Rather than a linear narrative, the installation creates a story that has no beginning and no end. This type of storytelling is more open and allows the viewer to create connections organically, emphasizing their experience of searching and discovery. The differing print sizes allow for the contemplation of how rumination lingers in daily life. 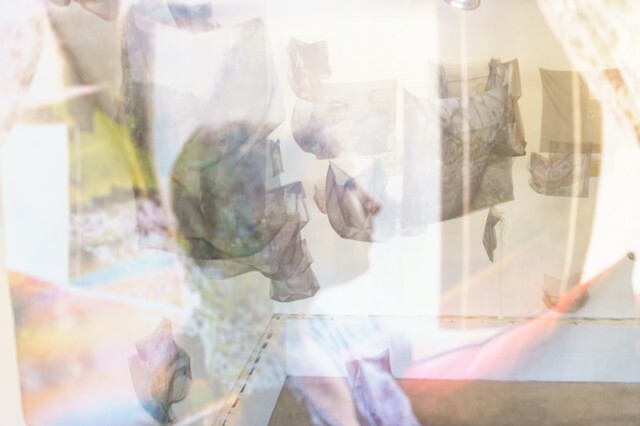 The flat doubled images give the viewer a more uninterrupted view of the double exposure, which emphasizes their importance in the series. 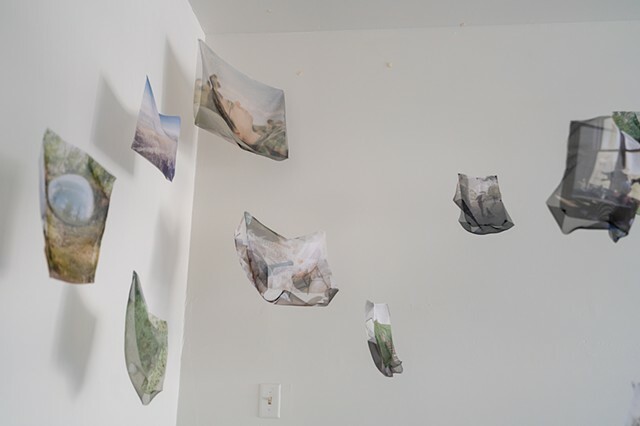 The formed images are hard to define, echoing the struggle of depression and loss. 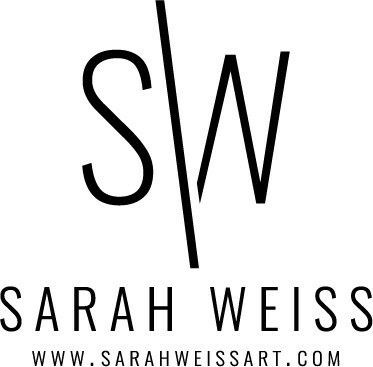 There are moments of stillness in the series that is juxtaposed to the fluidity of the work as a whole. A few larger images help connect the overall understanding of the mass of imagery, together they create a possibility of order in chaos.